Ginkgo helps to maintain peripheral circulation to the extremities. In addition, Ginkgo helps support memory and focus, especially occasional mild memory and focus problems associated with aging. 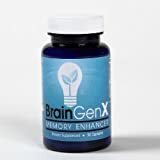 Ginkgo Biloba provides you with the supplemental nutrition you need to support brain function. Ginkgo also helps supportandnbsp, mental alertness.